All the latest news, reviews and opinions on 5G. 17/05 - FEATURE: Hubert De Costa/Cradlepoint - The next generation WAN – where are we with 5G? - Described as the next-generation WAN, 5G has the potential to be as transformative as the introduction of electricity itself - but are they founded in fact? To read all of our 5G coverage, click here. The benefits of 5G should also play a key role in helping developing countries get connected to the internet and enjoy the benefits that mobile connected technology brings. Estimates from mobile industry body the GSMA predict that 5G connections could number as many as 1.1 billion by 2025, with the associated networks covering a third of the world’s population. 5G is more than just speedier smartphone downloads, however, as the technology could also be the key to creating a smarter, more connected world. 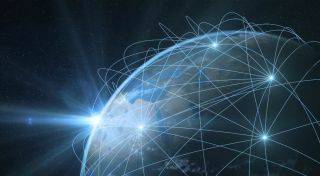 The use of higher density networks would allows for huge numbers of different devices to connect to a network and run all at once with little slowdown, meaning that it is perfect for the M2M technology needed to power the Internet of Things (IoT). The IoT requires reliable and fast networks in order to process huge amounts of data and information, as well as carrying out thousands of calculations and decisions every second. 5G should provide the capacity needed to take the IoT to the next level, allowing for a smarter, more connected world around us. That being said, the networks should provide a significant upgrade to current download and upload speeds - with the GSMA proposing minimum download speeds of around 1GBps, and <10 ms latency. The technology would also provide a number of upgrades in other services - for instance, video calls would be able to be carried out in much higher-quality, HD voice calls could be placed from anywhere in the world, and uploading high-quality content to the internet would become a much smoother (not to mention faster) process. 5G technology is expected to officially launch across the world by 2020. This is the threshold that most countries and network providers have set for the launch, but given the speed of investment and development in the technology, it may arrive even sooner. Will my phone be able to get 5G? Or will I need to upgrade? Mobile devices that were released when 4G networks were the standard may not be able to connect to 5G to begin with, or may incur extra costs to do so. However following the initial rollout of 5G, we should soon see devices coming with 5G connection as default. Although 5G should represent a major step up from current 4G and 3G networks, the new technology won’t immediately replace its predecessor - at least, not to begin with. But much as 4G has largely taken over from 3G as network coverage has widened, 5G should gradually become more widespread and eventually supplant the previous generation, with devices launching after 2020 expected to come with connectivity to the new networks by default. 5G is expected to provide much faster download and upload speeds than 4G networks, allowing for speedier streaming and downloading.